Let’s be honest. In the 87th minute of last Wednesday’s game with Paris Saint Germain, there are unlikely to have been many Barça fans, if any at all, that realistically expected to see their team in the draw for the Champions League quarter finals. But then the miracle happened. First Neymar Jr, then Luis Suárez and finally Sergi Roberto all scored to produce perhaps the most remarkable late turnaround in football history. We did it! The team whose hopes had practically been written off after the 4-0 defeat in the French capital are among the eight that will be finding out who they’ll meeting next on the road to Cardiff in Friday’s draw in Nyon at 12.00pm CET. The first legs will be played on April 11 and 12, and the second legs on April 18 and 19. 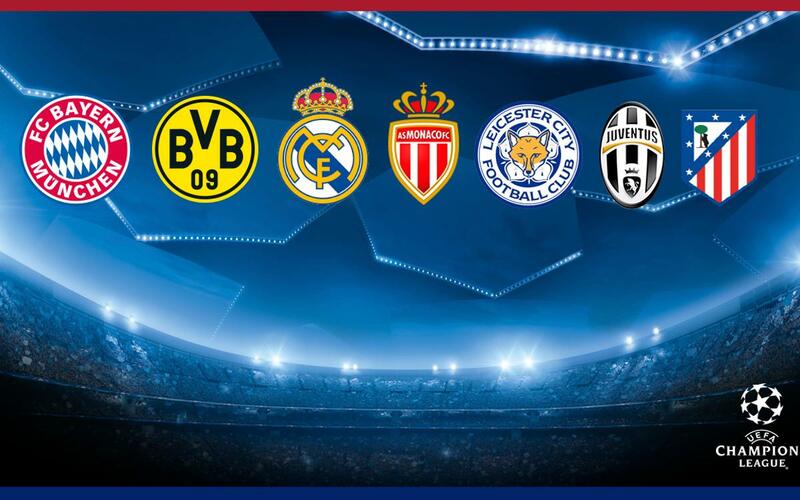 This time there are no seeds, so Barça could play anyone, including fellow Liga sides Real and Atlético Madrid. A trip to Germany is a likely possibility, with both Borussia Dortmund and Bayern Munich through to the last eight. The sole Italian survivor is Juventus, the team that Barça beat in Berlin to win the title for the last time in 2015, while the blaugrana could follow their PSG heroics with a tie against another Ligue 1 club after Monaco eliminated Pep Guardiola's Manchester City. Or could it be plucky Leicester City, who have followed on from becoming the unlikeliest of English champions by marching past Sevilla into the quarter finals of Europe’s premier club competition? All will be revealed on Friday, and in the meantime, here’s a look at the seven other contenders for the trophy. All of them have one thing in common – none of them will be relishing the prospect of a match-up with FC Barcelona!